I've been a fairy artist for over 20 plus years selling my creations domestically and overseas. It gives me comfort knowing that a little piece of me resides in countries I may never have the privilege to visit. 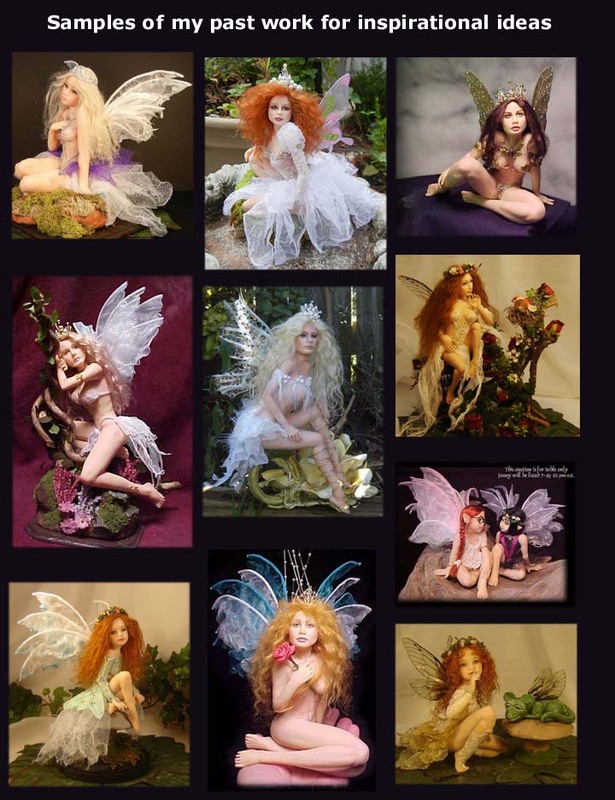 Please see my examples below for some fairy ideas. 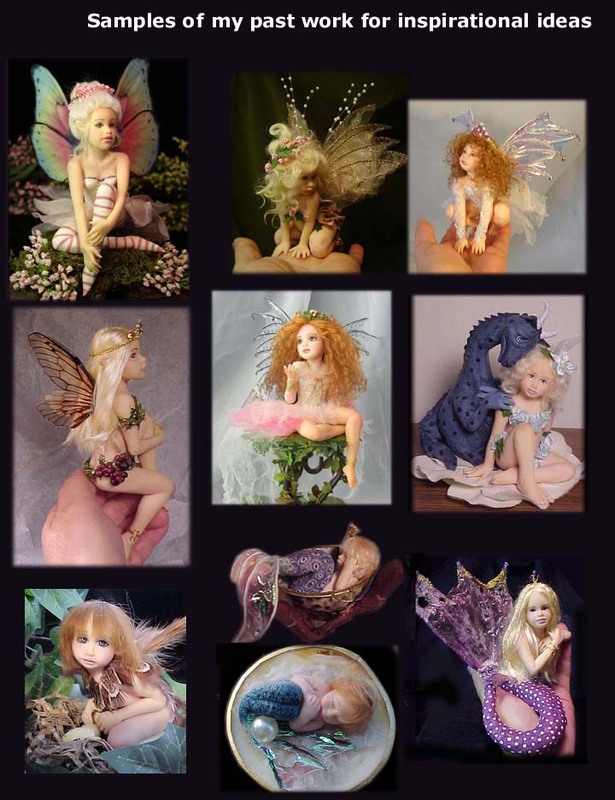 I would love to create a commission fantasy creation for you. 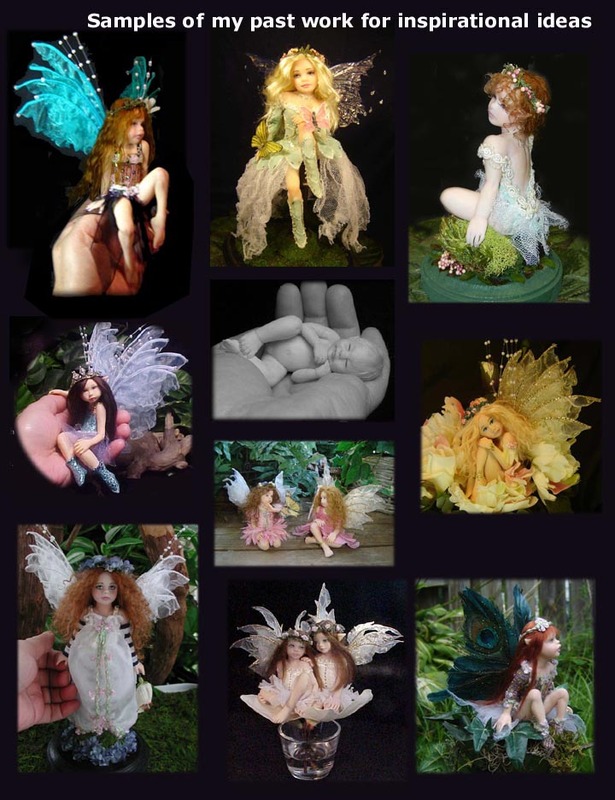 Please send me an email rdhunter@yahoo.com with your request of what type of fairy or fantasy creation you'd like me to create for you. I will then be happy to work with you and discuss your preferences so I may give you a quote. 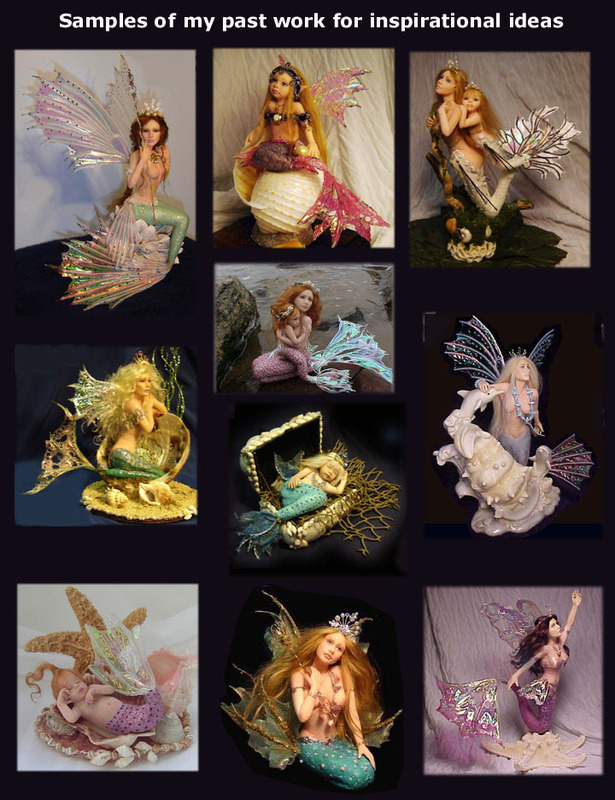 Typically I can create a beautiful fairy to suit your liking in about a week or 2 depending on how complicated the sculpture is. Upon agreement a deposit of one half of the commissioned fee will be required via PayPal. Once work has been completed to your satisfaction, the other half of the commissioned fee plus shipping is due. A deposit of one half the commission price will be required to begin your sculpture. The second half of your commission price plus shipping will be due once your sculpture has been completed.